What went wrong for the ballads? Countries like Israel, Ireland and Norway were by fans and press mentioned as potential winners after successful rehearsals in Oslo. But on the actual night of the final they all failed to live up to the expectations and instead ended at the bottom of the scoreboard. What went wrong for them? Former Eurovision Song Contest winner Niamh Kavanagh represented Ireland for the second time this year. At each of her rehearsals in the arena she impressed with a very secure voice and a strong song. People watching this was not in doubt that Ireland had a good chance of at least a top5. The ones watching it in the press centre however immediately dismissed it as it sounded directly horrible on the TV screens there where it came across as Niamh had problems getting the notes right. Maybe it was just the screens there which had some problems with the sound? Besides Niamh was popular and would surely get some votes based on that as well. 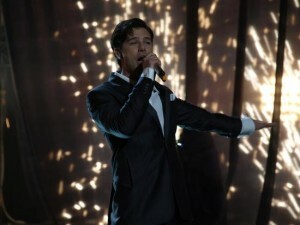 Harel Skaat simply blew people away at his first rehearsal and Israel immediately went to being one of the favourites to win. In contrary to Ireland then it didn’t sound wrong on TV, it just sounded a bit… well, boring. Despite that we all knew that Israel was one to pay attention to. Another one with an outstanding rehearsal was Didrik Solli-Tangen for Norway. Everything was perfect – both in the hall and on TV – until the last round where they added fireworks to the end. They seemed out of place on this fantastic performance that left several us in tears due to its beauty and others walking around saying; see you next year in Oslo again. Most was quite sure that Norway had a golden chance of making a double – in particular if they removed the fireworks. They didn’t, but still a top5 was absolutely expected. As the host country generally gets a few extra points on hosting it no one was in doubt that Norway would score well. So we had three ballads that could all do the trick and win the whole thing. Did they have any other strong competitors? Sofia Nizharadze representing Georgia or perhaps Belarus? But no, we didn’t see any of them as being strong enough to destroy it for Ireland, Israel or Norway although we did acknowledge that Georgia would also get their share of the points and probably end up in the middle of the field. With three ballads all being potential winners the question was however if they were going to destroy it for each other constantly changing in who got top marks leaving them all to end somewhere between 3rdth and 8th position. Or would the jury and the TV viewers be able to agree on letting one of them win? Israel finished 14th, Norway 20th and Ireland 23rd – out of 25 countries competing. That can only be described as a total failure for these ballads thought of as top candidates. So what went wrong? With Germany winning, Turkey coming second, Romania third and Denmark fourth it is quite easy to conclude that this just wasn’t a ballad year. When such four songs take the top positions then the TV viewers and the jury just clearly didn’t want ballads this year. That also matched with Norway and Ireland that didn’t manage to get anything higher than 7 points from one country. It is almost impossible to win without anyone thinking that you were the best. You also need to get points from almost all countries. Norway got points from 9 out of the 39 countries while Ireland only got from 7 of them. Israel scored from 14 of the participating countries, but as they managed to get 10 points from both Finland and the Netherlands and 8 points from Belarus and Slovakia their placement becomes significantly better although still far from the top. Georgia came 9th and as they received points from 25 different countries they may very well have been taking some points away from countries like Ireland and Norway. That is what happens when you have many songs in the same genre. This year we had quite a lot of ballads participating – and it just wasn’t what people were looking for. It is impossible to tell what kind of song will win each year, but we do see a trend pointing towards that the songs that stand out has a good potential. If you send a song too similar to what other countries are sending you risk drowning. That was what happened to most of the many ballads this year.